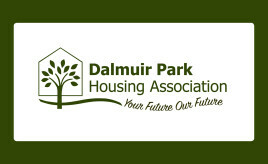 SFHA has commissioned TC Young to update the SFHA Model Rules, and will be consulting members towards the end of April/beginning of May with a draft of these proposals. The SFHA has produced a briefing for all members highlighting what has changed since the consultation period in the published Regulatory Framework. The SFHA has submitted a brief response to the Scottish Government's Charity Law consultation. Scottish Government is reviewing Charity Law, specifically the Charities and Trustee Investment (Scotland) Act 2005. This is in relation to the powers and remit of the Office of the Scottish Charity Regulator (OSCR). 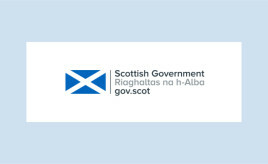 The full consultation is available on the Scottish Government website here: Consultation on Scottish Charity Law Scottish Government is seeking responses to this consultation by 1st April 2019, and SFHA will submit a response. SHR acts on points raised by co-operatives. SHR writes to RSLs regarding compliance with Regulatory Standards in the context of the uncertainty around the planned withdrawal of the United Kingdom from the European Union. In February 2019, the Scottish Government laid a draft order to Scottish Parliament – extending the Freedom of Information (Scotland) Act 2019 to some of the functions of RSLs and their subsidiaries. The order will take effect on 11 November 2019. An SFHA briefing on the content of the order is now available to all SFHA members. In September 2018, SFHA published Governing Body Member Succession Planning and Recruitment Guidance. As a companion piece to this publication, SFHA is delighted to make available Senior Staff Succession Planning guidance for its members.